Parallels Desktop 9 for Mac also includes support for OS X Launchpad in Windows applications, and it enhances support for Apple's forthcoming OS X 10.9 Mavericks. 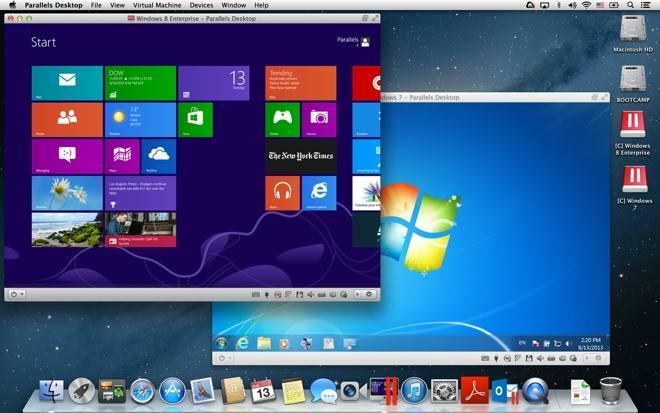 For users of Windows 8, Parallels Desktop 9 also incorporates the familiar Start menu and Windows Start button. Thursday's launch of Parallels Desktop 9 is available for existing customers for $49.99, while those who recently purchased may be eligible for a free upgrade. Customers who buy Parallels Desktop 8 today will also be eligible to upgrade to the new version at no additional charge. 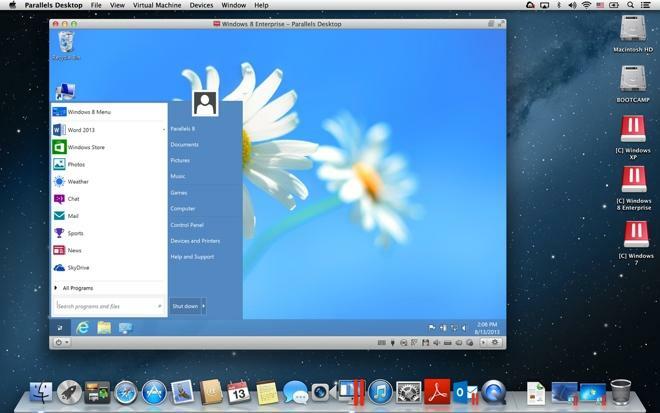 Parallels Desktop 9 extends the OS X PowerNap feature to Windows and Windows applications, and also allows Mountain Lion Dictionary gesture compatibility in Windows apps. It also allows users to connect Thunderbolt and FireWire devices to either their Mac or virtual machine, just like with USB. 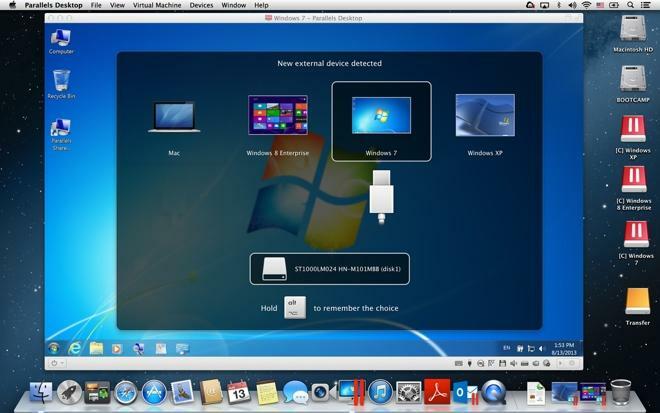 The latest version of Parallels also enhances the virtual machine wizard, making it easier to create new systems by automatically locating operating systems on a Mac. Users can also manually select a range of media types to install. For cloud storage integration, Parallels Desktop 9 adds iCloud, Dropbox, Google Drive and SkyDrive optimizations that eliminate duplication of files locally. And the new Parallels also aims to address issues with Microsoft's Windows 8 platform, adding a "real" Start menu, and the ability to run Metro applications in a separate window, rather than full screen. A new Security Center in Parallels Desktop 9 is said to make it easier to ensure that files are secure, both on the Mac and in a Windows virtual machine. The new version supports both OS X 10.9 Mavericks and Windows 8.1. In addition, Parallels Desktop 9 comes with a six-month subscription to Parallels Access for iPad, announced earlier this week. That new software allows customers to remotely access and experience Windows and Mac applications as if they were designed for Apple's iPad. 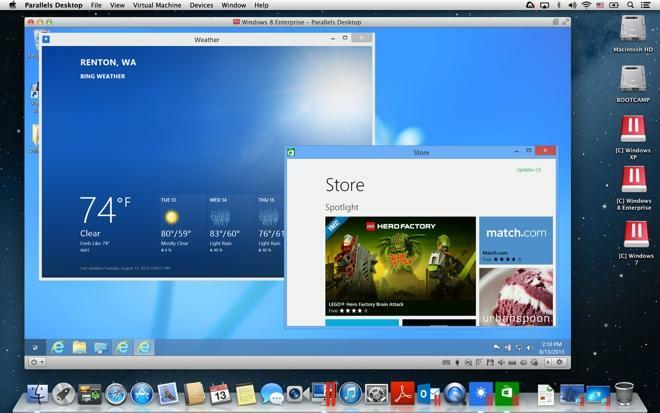 "Parallels Desktop 9 for Mac customers will enjoy peace of mind knowing that Parallels keeps pace with and supports leading new technologies, such as the upcoming OS X Mavericks, Windows 8.1 and increasingly popular cloud services," said Parallels CEO Birger Steen. "We thank our customers for appreciating our innovations and making Parallels Desktop for Mac the No. 1-selling software for running Windows on a Mac for seven years and counting." Parallels Desktop 9 for Mac will become broadly available for purchase next Thursday, Sept. 5. It is now available as a $50 upgrade for legacy Parallels users, and a free upgrade for those who recently bought Parallels Desktop 8.